The Army had many lawyers of its own, and it had a call on lawyers from the Department of Justice. Why then did the Army decide to hire a private attorney? The answer has not been discovered. One reason could be that the Army’s chief legal Counsel, John G. Adams, was included in the charges of improper conduct by McCarthy, and this presented a conflict of interest that prevented his representing the Army and other officials. In any event, the Army did search for a private attorney. Its first choice, an unnamed prominent Washington, D.C. lawyer, declined the request because he had been associated with a person who might be vulnerable to a McCarthy smear. Bromley knew Welch and his reputation as an exceptional trial lawyer with the eminent Boston law firm of Hale and Dorr (now WilmerHale), where since 1919 he had been handling all kinds of commercial civil litigation in courts in New England. Bromley introduced Welch to Dewey, who after an interview joined in a joint recommendation of Welch. But Welch had no experience with national security or political matters, and like almost all lawyers of the time no experience in congressional hearings, especially those on national television. These facts, however, did not disqualify him and indeed may have been seen as qualifying characteristics. Bromley’s recommendation of Welch suggests another possible connection between the two men. 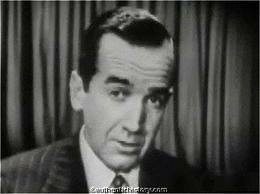 At the time, Bromley and his firm had been retained by the CBS television network to help it prepare for the anticipated counterattack by Senator McCarthy in response to programs attacking the Senator by Edward R. Murrow. Given how practicing lawyers operate, based upon personal experience, Bromley and Welch probably exchanged information and suggestions about doing battle against the Senator. By the way, Murrow’s programs about McCarthy were at the center of the recent film, Good Night, and Good Luck. 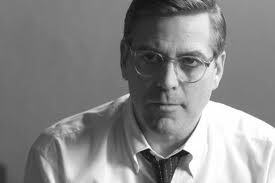 The film has a scene of Murrow (played by David Strathairn)and his show’s producer , Fred Friendly (played by George Clooney), watching a video clip of the famous 1954 clash between Senator McCarthy and Welch. Although I have not found information as to why the Army apparently insisted on a private attorney’s undertaking this representation on a pro bono basis, the Army (and the Eisenhower Administration) may have wanted to avoid criticism by the public and Senator McCarthy of large fees being charged by a private law firm. In any event, Hale and Dorr accepted the pro bono status. The firm regarded the matter as important for the public, but undoubtedly did not expect the hearings to last as long as they did. Their length obviously increased the cost to the firm; it had to have been a major drag on the firm’s finances for 1954. 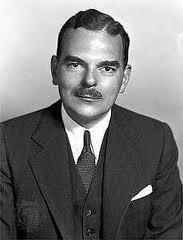 As Reginald Heber Smith later observed, “The cost was very heavy.” This engagement, however, subsequently added to the firm’s professional luster and undoubtedly helped in its recruitment of new lawyers and perhaps its retention by some clients. Another reason for the firm’s pro bono role was not wanting to get sued by a McCarthy supporter in Boston over any fees it would have received if it were fee-for-service. After all, McCarthy was an Irish Catholic, and there were many of those in Boston, including the patriarch of the Kennedy clan (Joseph Kennedy), who was a McCarthy supporter, and his son, Robert F. Kennedy, was a lawyer for the Democratic members of the McCarthy committee. [i] From 1966 through early 1970, the author was a law clerk and associate attorney at the Cravath firm and worked with Judge Bromley. But I was unaware of the Bromley-Welch connection and thus never interviewed Bromley about his recommending Welch for this important engagement. Dear dwkcommentaries, I’m a producer working on a documentary about 1950s American history and one story in particular is that of McCarthy and the Army Hearings. I just had two questions relating to your blog. Basically just trying to find out where the source was for the facts about Eisenhower personally wanting the Army to hire Welch and how McCarthy wanted to stop the televising of the hearings because he saw it was going badly for him.